I love these boots so much, they look extra cool! Love the black and gray look. So simple and classic! Those boots are amazing! Thanks for stopping by, Chottie! I love the black + grey look! Very chic! I love this casual look!! Perfect outfit to explore and still look chic! Gorgeous as always, love this all black look! Also I cant seem to get to your “shop” page… it says restricted? How do I go around this? 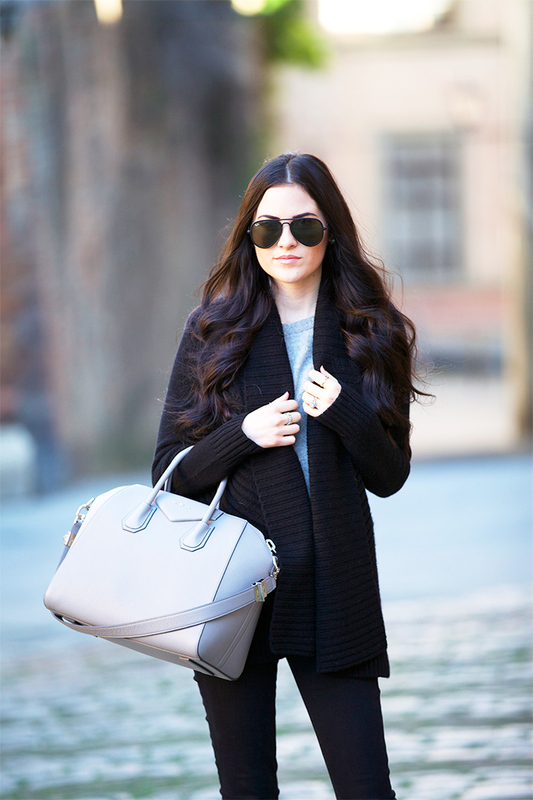 These boots and sunnies are major and you look absolutely gorgeous in this outfit! This outfit looks so cozy but it’s so simple! Huge fan of the booties too!! hope you enjoyed my country! Cute booties! Love your outfit! Love these boots and I love how they are more affordable than the Valentinos. Beautiful photos! Those booties are so cute and what a great deal!! Love the bag! Italy is definitely up there on my list of places to go! Love this look!! The accessories are perfection. Definitely obsessed with these boots. Don’t you love finding good deals?! Those boots are gorgeous! I love all of the cobblestone paths in Europe. There is so much history to discover! I love those booties you’re rocking! They are fabulous. I love this casual look! That cardi is so cute and the boots are fierce! You look lovely. I love the color of your bag! Absolutely fabulous outfit! You look so beautiful! Lovely outfit! 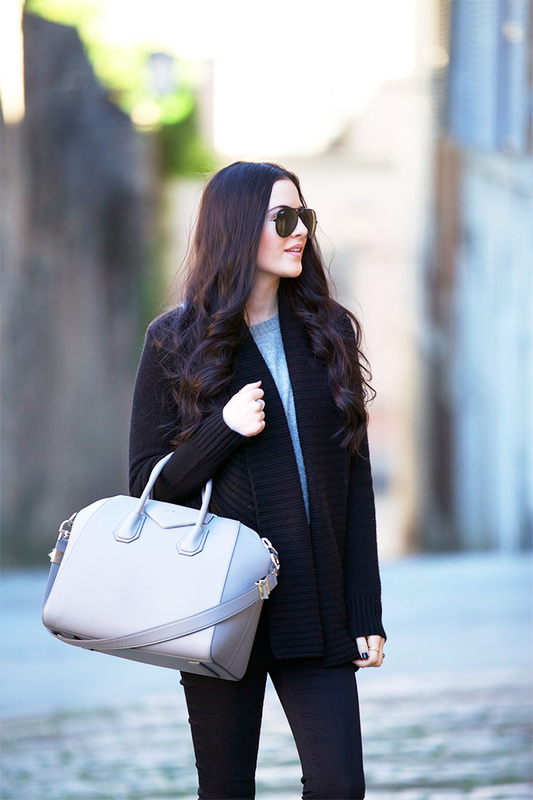 So chic yet casual and simple! Love this simple classic look. Your booties are amazing! Those booties are gorgeous!! Such a fun alternative to traditional moto booties! Love the boots! Great alternative. Great find! I love finding more affordable versions of designer shoes. I got a pair of blush Halogen flats that look just like the Valentino studded pair. Love the “Last Call” website. They literally have such great deals! I love it too! Thanks for stopping by! My thoughts exactly! They’re in stock and they’re super cute and comfy. I absolutely love these boots! They are so cute and look comfortable for walking around in! They are super comfy! Thanks for stopping by! gorgeous outfit, love the cardigan! Love these options! And your trip looked amaze!!! I fell in love with those booties! They are so cool! So did I! Thanks for stopping by! I love this look. 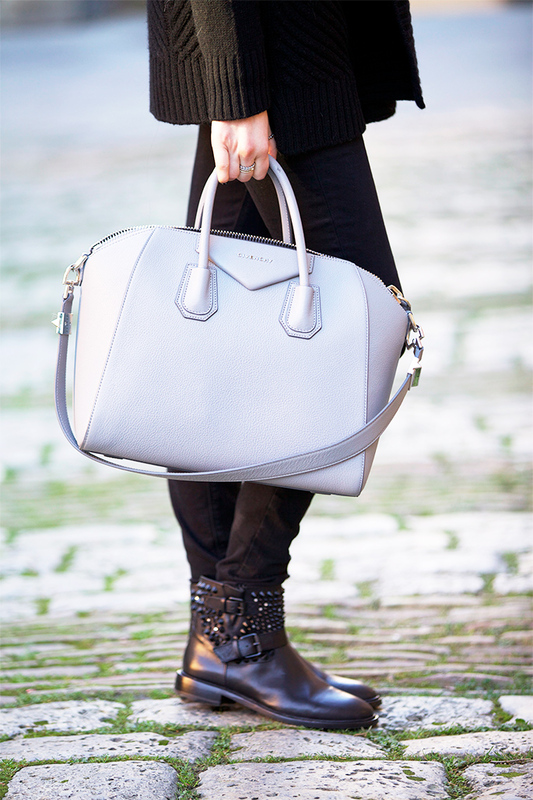 It’s casual & warm but the light coloured tote & seriously cool boots really elevate the whole vibe of the outfit! Casual but always so chic!!! The bag is gorgeous! The boots are beyond cool, so amazing you found similar ones to Valentinos! I love those boots! Such a better deal than $2,000 although I bet the Valentinos are amazing too! Your trip looked so fun! Thanks Tara!! It was super fun but it’s so nice being home. Thanks for stopping by! Those boots definitely are gorgeous ! They look amazing with your outfit. Also, your purse is gorgeous and everything looks so great together ! 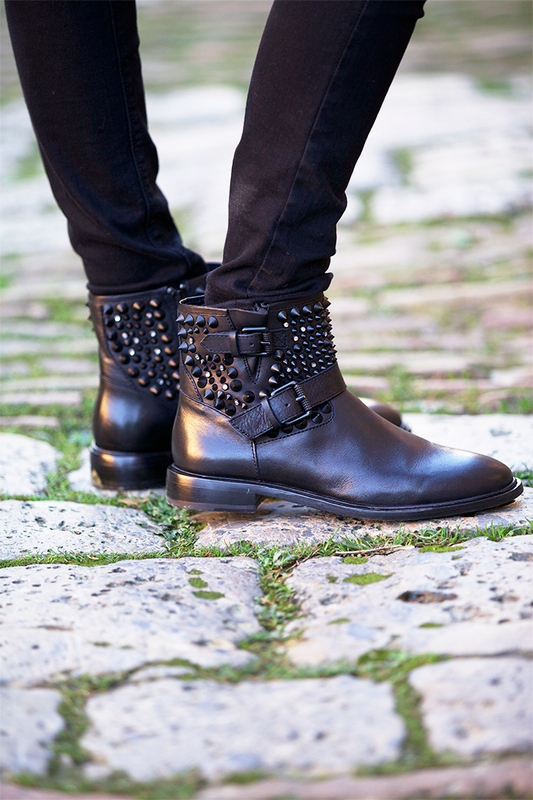 I bought a pair of studded booties from Zara that I have on my blog today! People ask me all day long if they’re Valentino, they were a major score and they’re so so comfy! 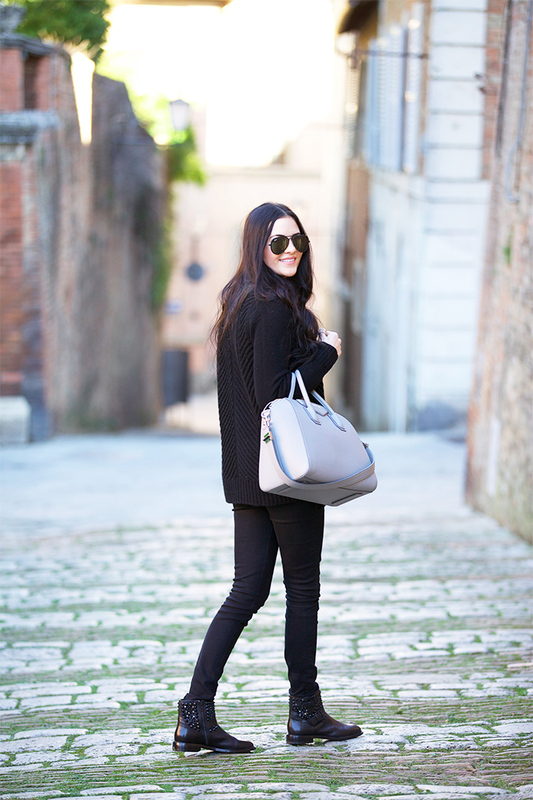 I am loving this simple and chic look – especially those amazing booties!! 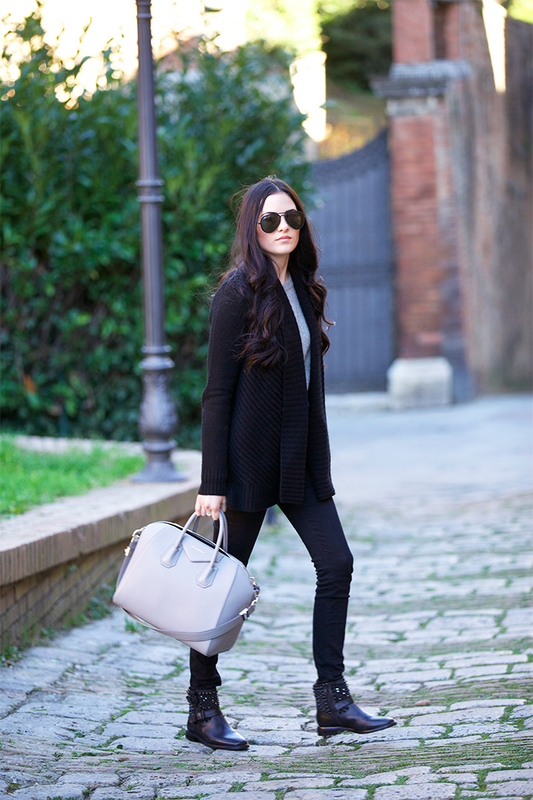 I’m so jealous Italy was warm – I just got back and it was absolutely freezing! A shorter haircut to the collar bone might be a fun thing to do. Looking awesome! Stunning outfit! Love that so much. The boots are really something special. I LOVE those boots! Too bad they only have a size 5 left on the Last Call site. These boots are an amazing find. Love from Best shoes for women 2016 xoxo.